Trend Finder finds direction change and Shows Trend in new direction by positive or negative filling curves. Indicator continues until trend power decreases. Before trend change, usually there is a stable area, which showed in figures as straight area at peak point of indicator. 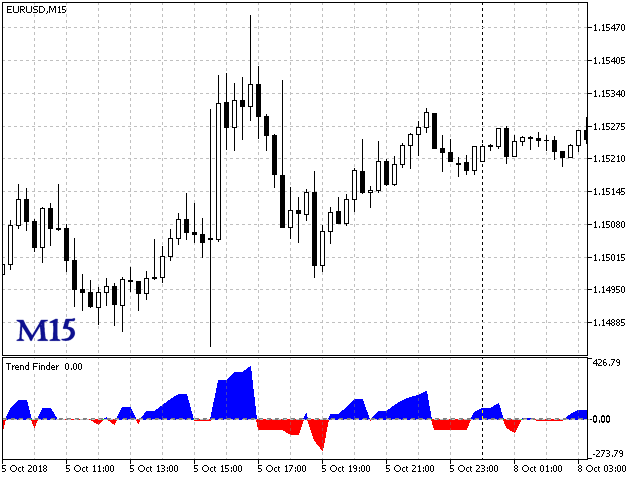 Height of indicator reveals the estimate value of trend in Pips unit. This process is very simple: Main trend direction is defined by powerful indicator triangles. 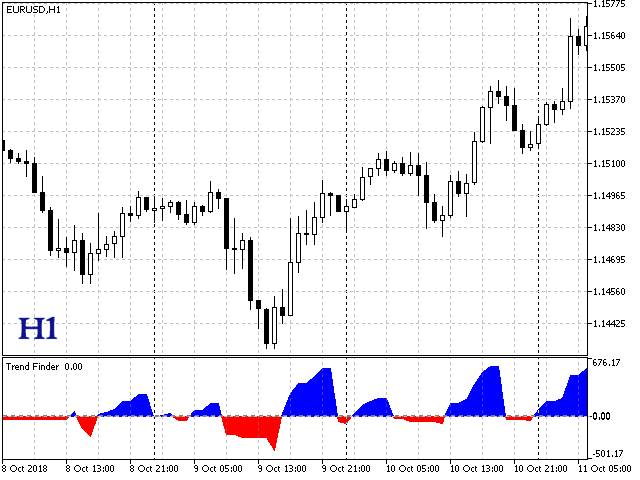 After trend direction change (blue to red or vice versa), you can open new position until flat peak appears. New trend height can be guessed by previous triangles. 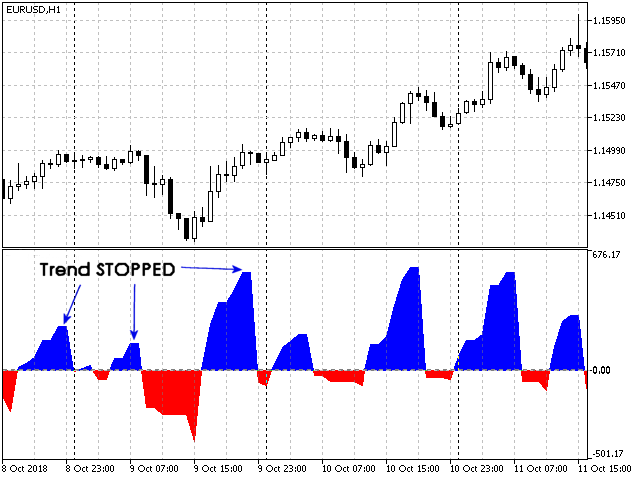 Trend Finder indicator works well at any timeframes. However, timeframes greater than M15 are better, because the trends are longer. There is not any input parameters.